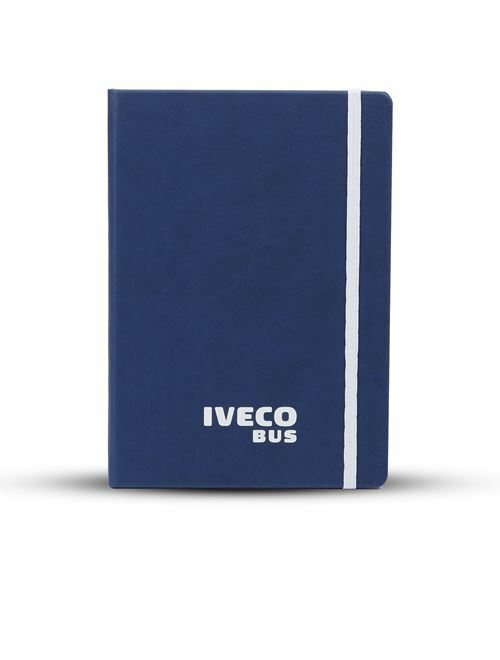 Notebook in soft pu hardcover, blu navy color. 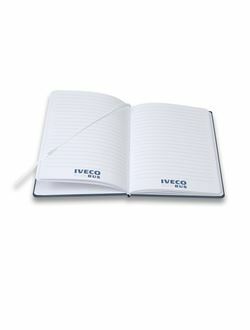 size a5, sizes:148x210 mm. Personalized on the cover with logo iveco bus, one foil debossing (white color). 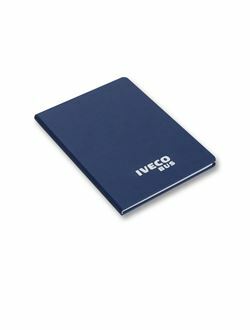 50 inner ruled sheets printed with logo iveco bus. Satin ribbon and flat elastic band in white color. Packed in single polybag.